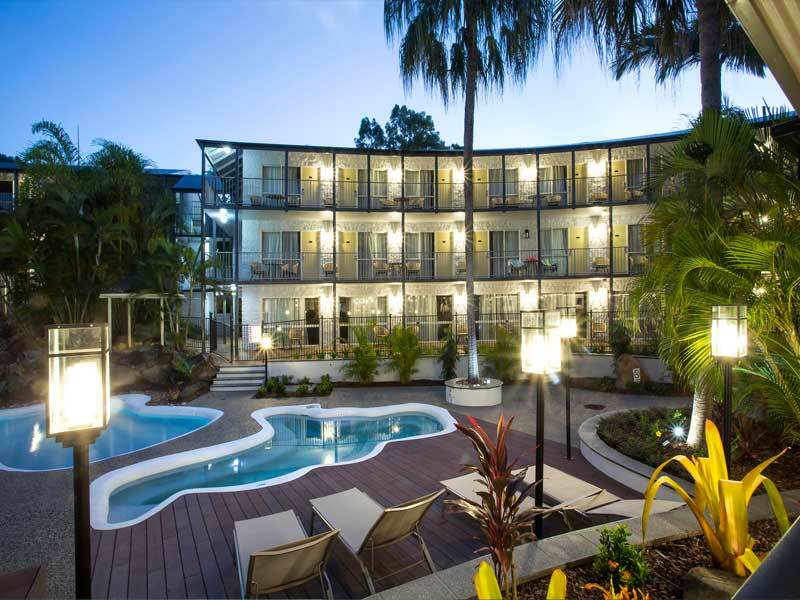 Set in a traditional Queenslander-style building, Mantra Club Croc is just minutes away from Abell Point Marina: the gateway to the Whitsundays and Great Barrier Reef. A relaxing tropical oasis awaits you at this resort, equipped with all the modern amenities you would expect from a luxury hotel. The inviting space is ideal for unwinding after a day of exploring the islands, the hinterland, or just strolling around town. 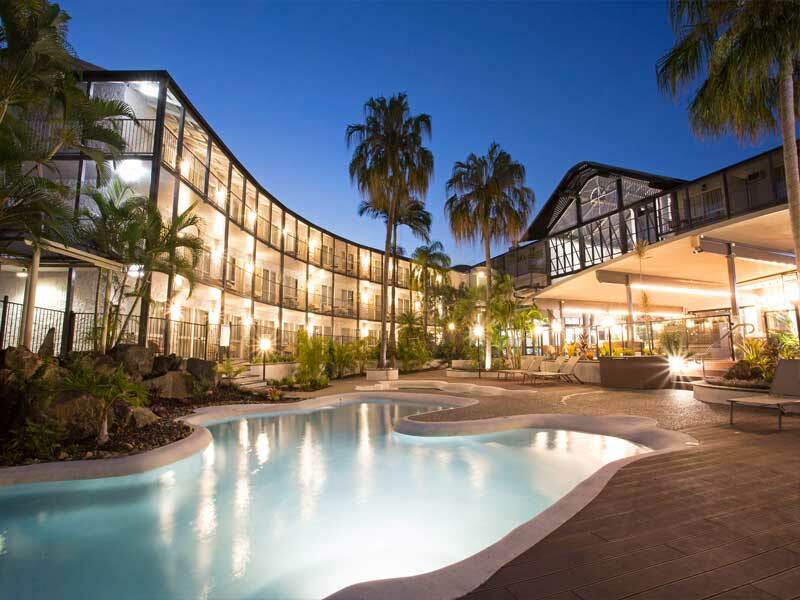 With year-round warm weather in Queensland’s north, the pool on offer at any Airlie Beach hotel is always bound to be a major deciding factor on where you should stay. The tropical lagoon pool at Mantra Club Croc will not disappoint! 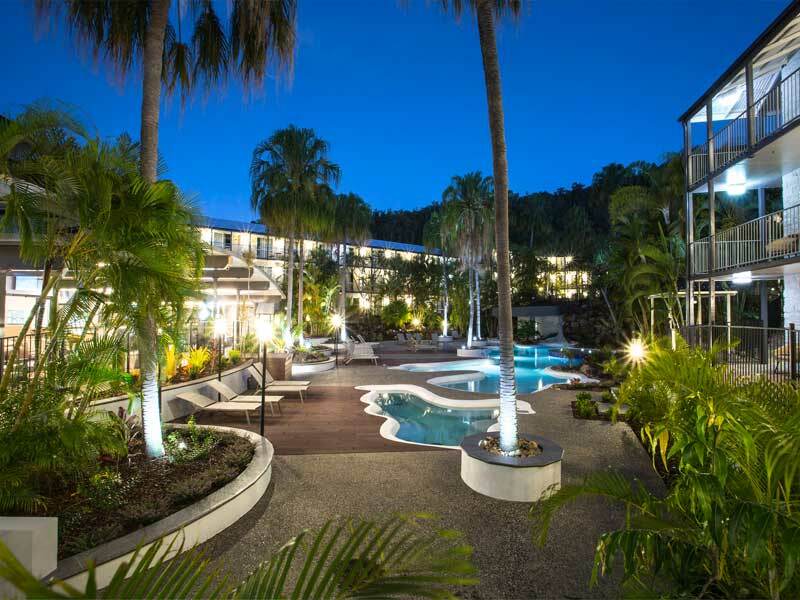 Not only does the resort boast this fantastic body of water and surrounding tropical gardens, it is also a less than 5-minute walk to the beach, a 15-minute walk to the Abell Point Marina and a 25-minute walk (or 5-minute drive) to the centre of Airlie Beach. Mantra Club Croc is perfectly positioned and is one of the largest resorts in the area. 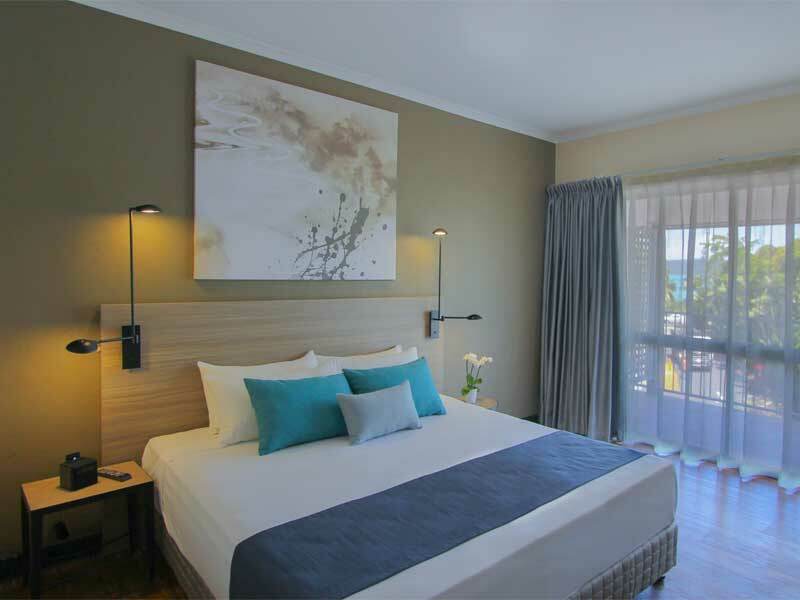 It boasts 160 well-appointed and spacious rooms, all with views of the ocean, gardens or lagoon pool. 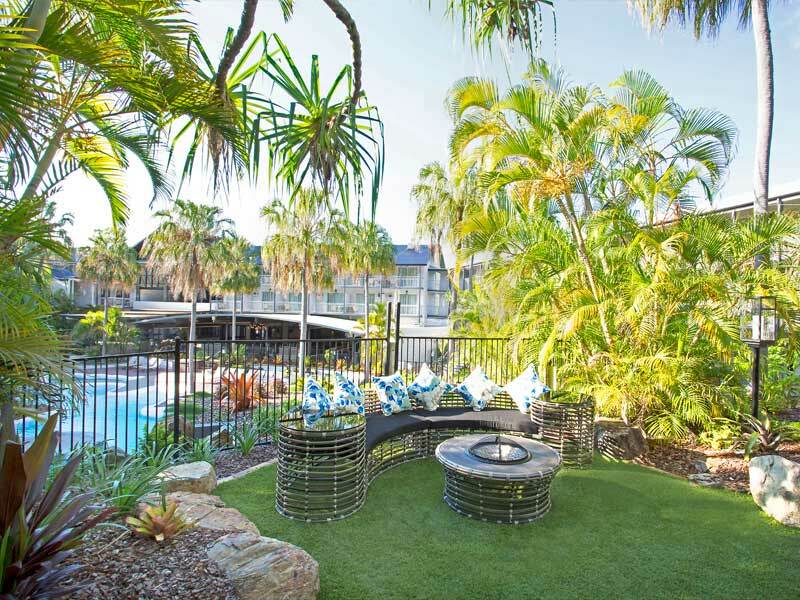 Get the full Queensland experience on your visit this stunning resort. 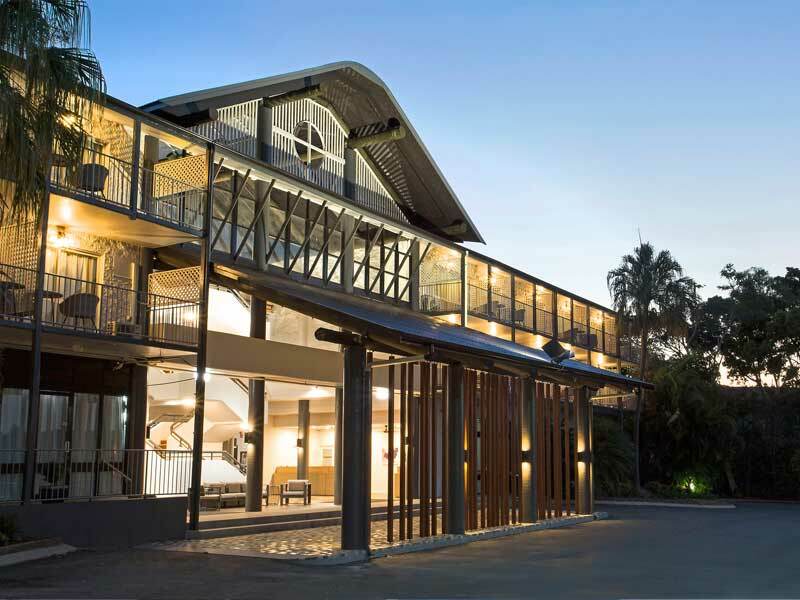 Check-in to the traditional Queenslander-style building and get set for cool days and blissful nights. Don’t let the exterior fool you—Mantra Club Croc’s interior is absolutely luxurious, with all the modern amenities you could ask for. This includes a state-of-the-art fitness centre, outdoor entertainment area and poolside dining. The friendly smiling staff are the icing on the cake, as they go out of their way to make your stay both memorable and enjoyable! Why go to Mantra Club Croc? 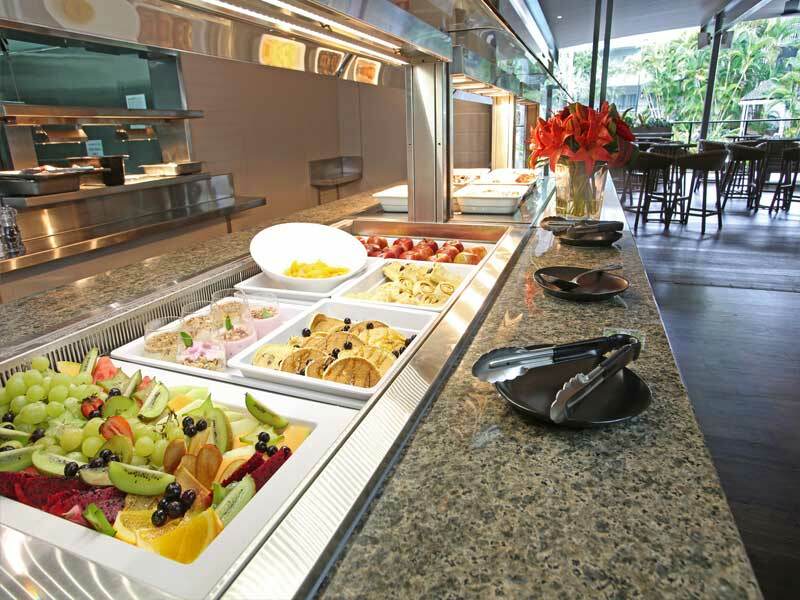 As well as its fantastic facilities, Mantra Club Croc is in a prime location. Stay here to make the most of all the activities and attractions in the Whitsunday islands, as well as in Airlie Beach itself. The resort has a mix of accommodation options to suit all travellers—from honeymooning couples to large families. 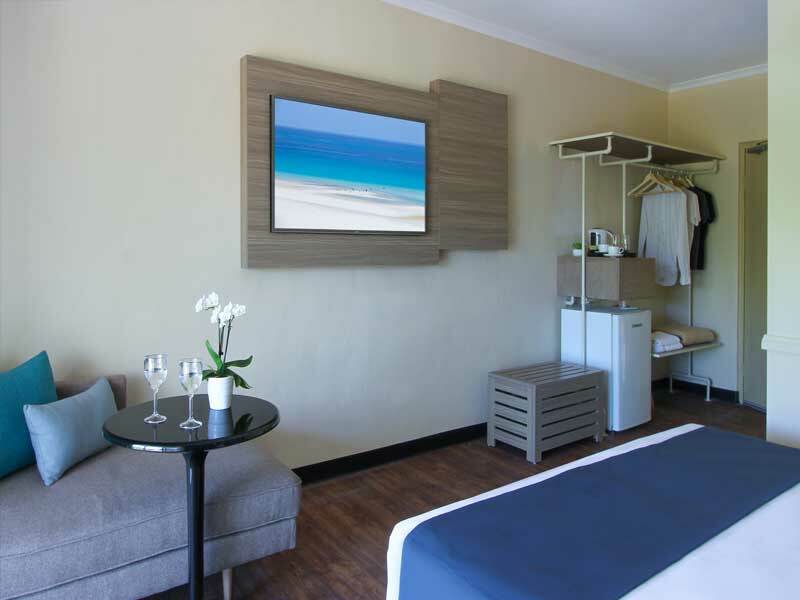 Whatever brings you to the region, you’ll be well-accommodated here! 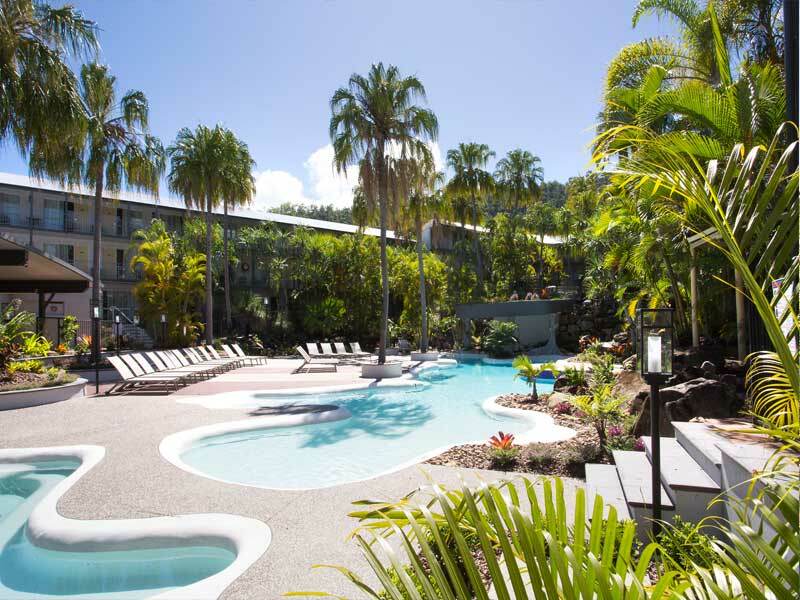 Located just a short stroll along the coastal path from the lively centre of Airlie Beach, Mantra Club Croc is a peaceful resort with excellent facilities. Everything is easily within its reach! Set just back from the beach, you can step out of your room and dip your toes in the ocean in under 5 minutes. 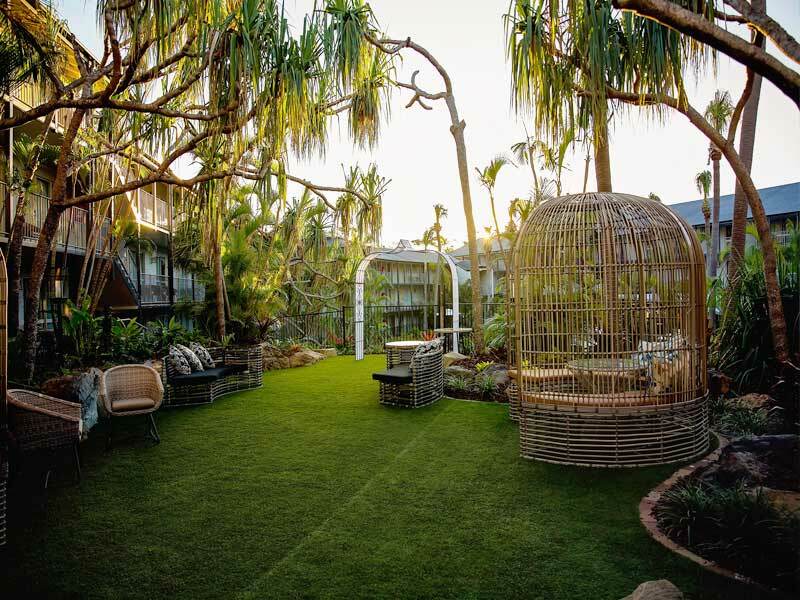 Only a 20-minute drive from Proserpine Airport, or a relaxing hour-long ferry ride from Hamilton Island Airport, getting to Mantra Club Croc to start your holiday is a breeze. Once settled into the resort you will be just over a kilometre from the transport hub of the Whitsunday Islands (Abell Point Marina). This means that you can easily access the ferries, day trips and other water-based activities on offer in the area. If taking to the water isn’t high on your list of holiday pastimes there is also beautiful hinterland, oceanfront cafés and boutique shops nearby. You quite literally can’t get move from things to do when staying at Mantra Club Croc. 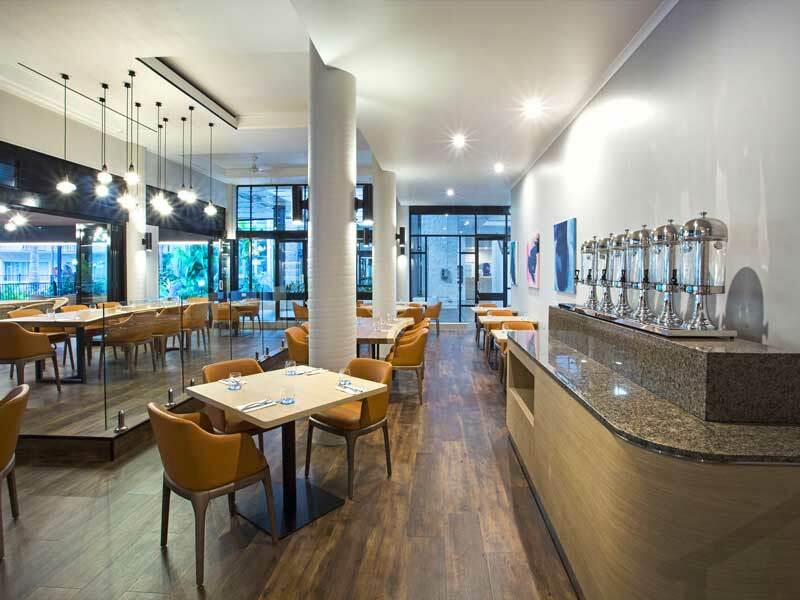 Stepping out of the resort you will find yourself on the Bicentennial Walkway—a 4-kilometre long coastal track—packed full of cafés, restaurants and bars, not to mention the fantastic views! Follow the coastal path and you will pass by the Abell Point Marina, the town centre and end up at Airlie Lagoon (the beachfront town lagoon pool). Most visitors to Airlie Beach will want to venture out to the Whitsunday Islands or the Great Barrier Reef. Whether you want to snorkel and dive, go fishing, or visit some of the iconic island beaches and resorts, there are plenty of tours and day trips on offer. Not only are there plenty of options in terms of activities, but transport too. You can sail on a yacht, catch the ferry, hire a boat, jump in a helicopter or even a seaplane! If you fancy exploring the terra firma instead, head to nearby Conway National Park and hike the tropical rainforest tracks. Take in magnificent views of the Whitsunday Islands as well as keeping an eye out for the extremely diverse flora and fauna along the 7.5-metre-long Mount Rooper Circuit, or the more challenging 28-kilometre Conway Circuit. If there has been recent rainfall, visit Cedar Creek Falls for impressive waterfalls and refreshing swimming holes. The pool, restaurant and bar area are amazing! It’s honestly so relaxing and lovely to spend a summer afternoon there with a cocktail. Could not have asked for more for our weekend away. Everything was perfect!